As a GAF Master Elite® certified contractor, New View Roofing has the knowledge base and expertise to answer any questions you may have when considering a new roof for your residential, commercial or industrial property. Have you noticed any of the following issues with your roof or property? If you answered yes to any of these or if your roof is over 25 years old, then it’s time to schedule a roof replacement inspection. Discover other signs that point to the need for a new roof. It can be overwhelming to know where to start with the roof replacement process. Luckily, New View Roofing is here to help you plan your new roof and all of the small details that go into this investment. When it comes to selecting roofing materials, shingle options, warranty coverage and filing insurance claims, our team has years of knowledge and expertise to guide you through the installation process. If you’re ready to take the roof replacement leap, New View Roofing will be here to help every step of the way. First, we’ll start with an initial consultation to assess your structure. Then, we’ll come up with a course of action to best suit the needs of your residential, commercial or industrial roof. We’ll walk you through the wide selection of roofing materials, styles and color options available to you. We’ll tell you what to expect during installation, and outline a budget and other details in a written contract. The longer you wait to replace an old or damaged roof, the more structural damage can happen to your property. Don’t wait any longer. 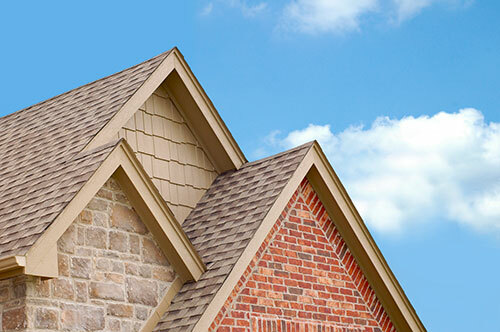 Contact the roof replacement professionals at New View Roofing. Call (469) 232-7220 or submit our online form to schedule your free inspection.